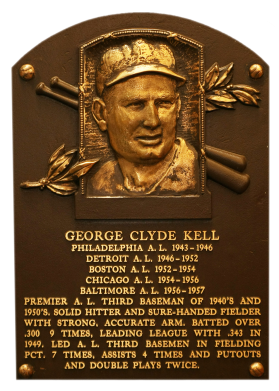 An excellent third baseman and career .306 hitter, Kell excelled for five different clubs in the 1940s and 1950s. 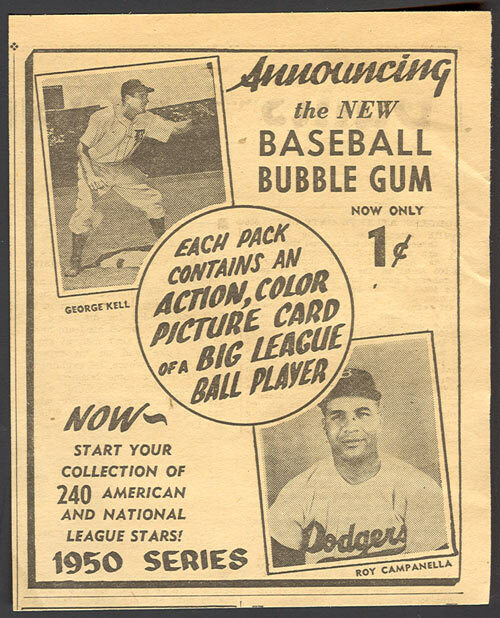 In 1949, he edged out Ted Williams for his only batting crown, hitting .3429 to Williams' .3427. 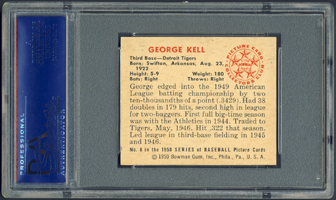 George Kell scored a lifetime 881 runs and drove in 870 runs. 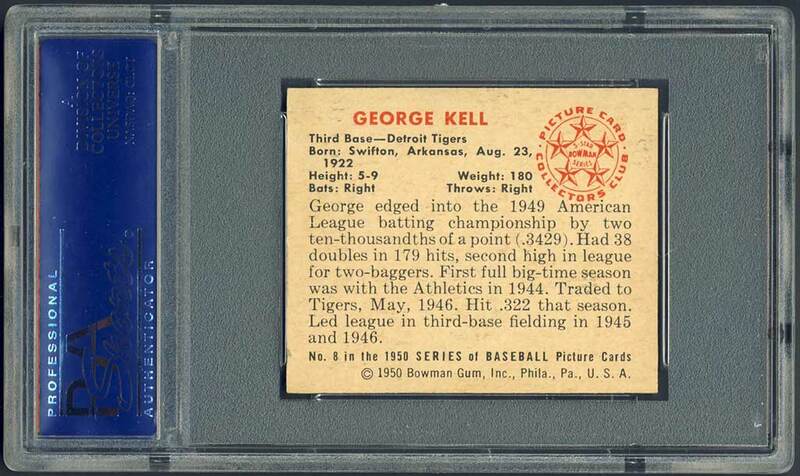 Comments: For Kell, 1952 Topps was the first issue after I purchased a PSA 7 off eBay in February, 2002. I upgraded to a beautiful PSA 8 a year later after winning another eBay auction. 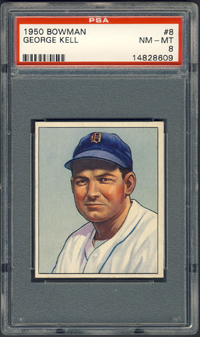 I decided to stick with Eddie Mathews for the 1952 Topps issue so in August, 2007 I swapped out the '52 Kell PSA 8 for a 1950 Bowman PSA 7. I upgraded to this PSA 8 when I won an eBay auction from seller Craig Roehrig/Quality Cards. 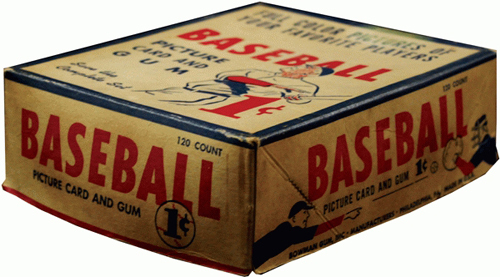 Description: The quality of the 1950 Bowman issue showed a marked improvement ove the company's previous efforts. The cards are beautiful color art reproductions of actual photographs and measure 2-1/16" X 2-1/2". Backs include the same type of information found in the previous year's issue but are designed in a horizontal format. 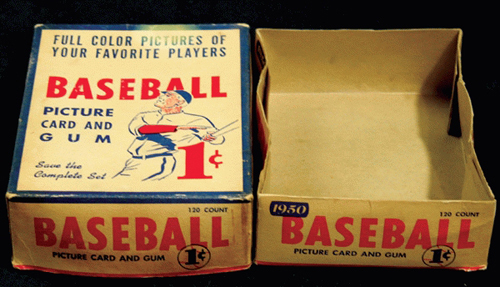 Cards found in the first two series of the set (#1-72) are the scarcer of the issue. The backs of the final 72 cards in the set (#181-252) can be found with or without the copyright line at the bottom of the card, the "without" version beiung the less common.